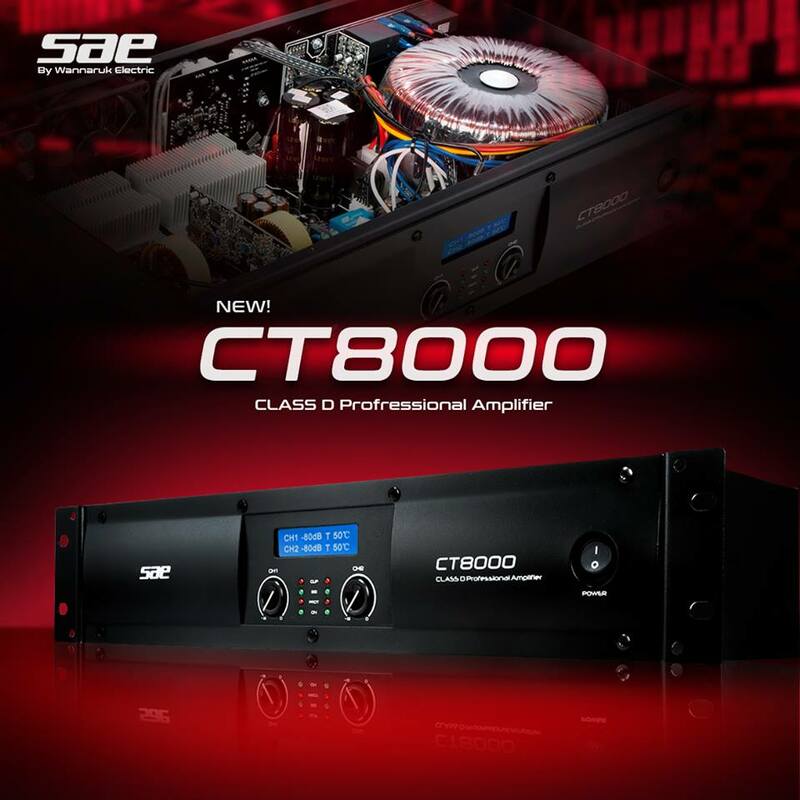 The CT series is the most cost-effective toroidal transformer power amplifier of SAE Audio products. CT series is the best choice for the economic application of sound reiforcement. CT series has got the excellent performance and good sound quality with class D power amplifier module and toroidal transformer power supply. 9 inch depth iron chassis with stylish circular arc for the front panel design. There is LCD display on the front of CT6000, showing the working states of the amplifier. XLR input and TRS signal link connectors. SpeakON NL4 and binding post output connectors. Routing mode selector on the back panel (stereo / bridge / parallel). Input sensitivity selector on the back panel (0.775v/1.4v). Stylish arc front panel design. Small to mid sized bar/café/lounge installation. Protection Soft start,VHF,short circuit,over load,clip,limit,over heat,over voltage10%(CT3000/CT6000),progressive volume. 1. The power is tested under the condition of 40ms burst,1kHz sine wave and 1% THD. 2. SAE reserves the right to make any changes to the product specifications without prior notice. Final specifications to be found in the user manual.